Charné Furcron is Director of Education and Program Officer for Moving in the Spirit. 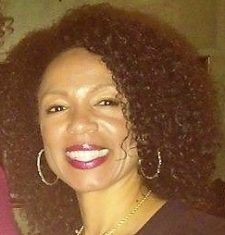 She has been actively involved with Moving in the Spirit for over twenty-seven years and currently manages program evaluation to provide evidence that proves the impact of the program on the dancers’ self-concept, youth development goals, and dance technique. She holds a BFA in dance from Texas Christian University, MA in dance therapy from Goucher College, MA in counseling from the Georgia School of Professional Psychology, and EdD in counseling psychology from Argosy University/ Sarasota. Dr. Furcron is a licensed professional counselor, board-certified dance therapist, board-certified coach, and approved clinical supervisor. In addition to her role as Director of Education, she is an Adjunct Professor for Lesley University in the Dance/Movement Therapy program and maintains a dance/movement therapy and counseling practice. Dr. Furcron has presented her work with dance/movement therapy and positive youth development locally, regionally, and nationally. Her TED-style presentation “Dance: Positively Changing Lives of Urban Youth” was featured by the American Dance Therapy Association (ADTA) as the first in a series, “ADTA Talks.” In May of 2016, she co-authored an article with Dr. Leon Rodgers on Moving in the Spirit’s program evaluation process for the American Journal of Dance Therapy. She is highlighted in the Profiles of Dance/Movement Therapists on the ADTA website, and in “A Short Primer on Innovative Evaluation Reporting,” and the international documentary, The Moving Child. Additionally, she serves as the Multicultural Diversity Chair for the board of directors of ADTA and the vice-president of the Southern Chapter of the ADTA.